Google let you search keywords through “ updated Keyword Tool, Keyword Tool, and Search-based Keyword Tool”. In the next few months, “Google will transition from the previous Keyword Tool to the updated Keyword Tool, and allows you to switch back & forth between the two tools, until the transition period is over,” writes Google. updated Keyword Tool, now let you search by words, phrases, websites, and even categories (where available) to receive the results of both Keyword Tool and Search-based Keyword Tool in one central location. Over next few days, Google will be “adding new feature to help you get more relevant search traffic estimates for your keywords. 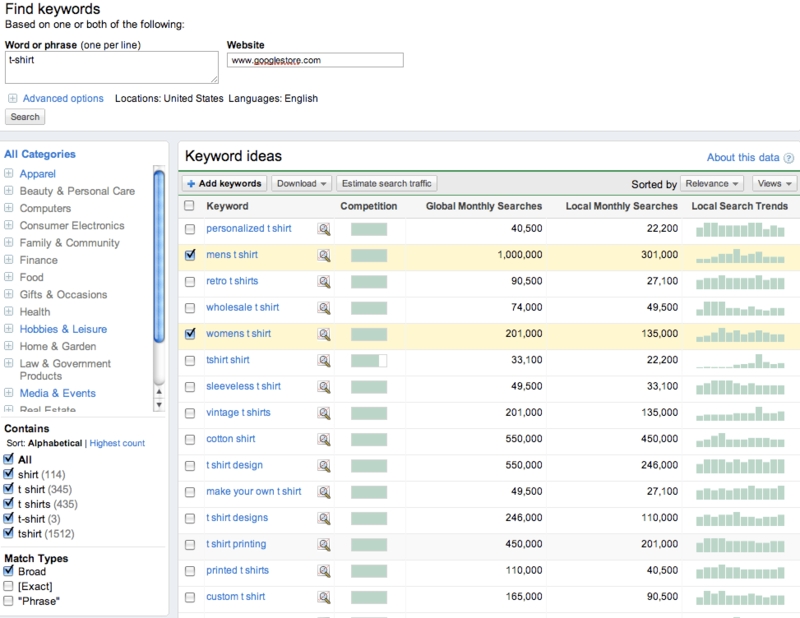 To do this, you’ll select specific keywords from the list of suggestions and click on ‘Estimate Search Traffic’. 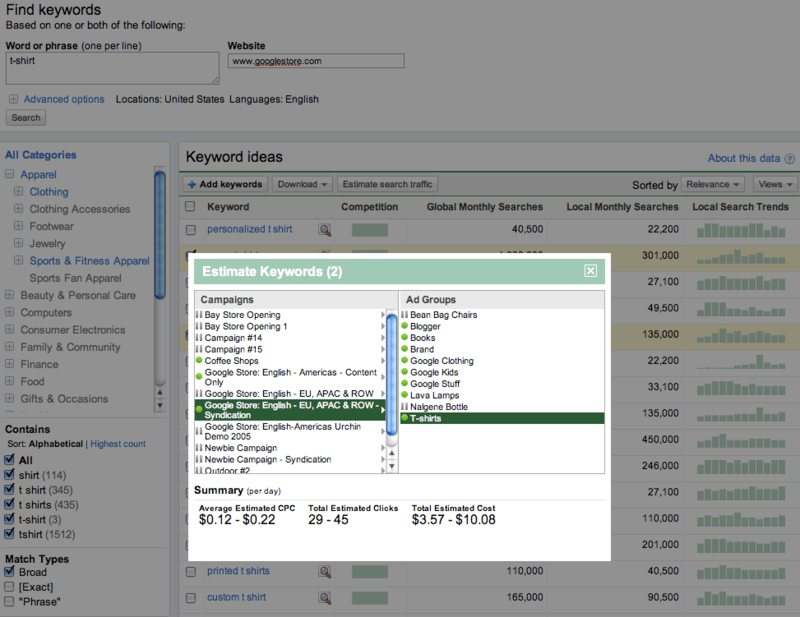 From there, you can choose ad group to which you’d like to add keywords and see average estimated CPC, total estimated clicks, and total estimated cost for keywords you selected on previous screen. This enhancement enables you to see how your keywords might perform in a specific ad group,” explains Google. If you’re interested in seeing keyword-level search traffic estimates, you can do so through the standalone Traffic Estimator tool, which also has a new, more intuitive interface. To access Traffic Estimator tool, click on ‘More Tools’ link under ‘Tools‘ section of Opportunities Tab.